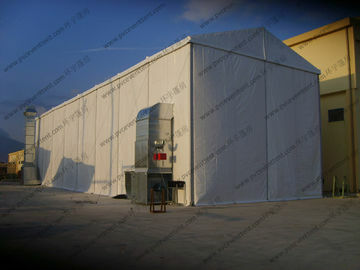 The tent can be widely used as the warehouse tent, temporary workshop, event marquee, and so on. The marquee which the photo shows us is with 650 - 950g/square meter PVC roof cover and 5cm thick sandwich panel sidewall with sliding glass windows. 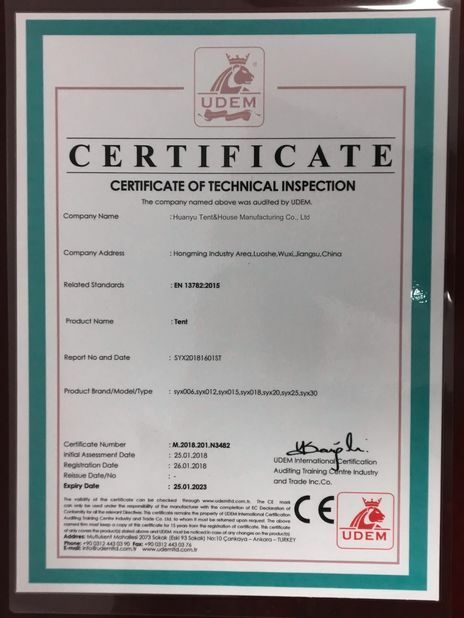 1) Sidewall-White PVC wall, transparent PVC wall, colorful PVC sidall, ABS wall, Glass wall, Sandwich wall, Steel wall and so on. 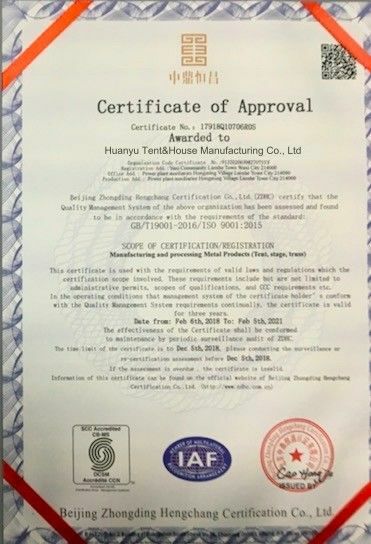 Fabric: Double PVC coated polyester fabric, 750-950g/sq. M, water proof, UV resistance, fire retardant. Color: Green, White, Blue, etc. Color: White , Red , Black , Green, etc.